Shimiegames is now mobile friendly!!! We are proud to show our latest game: Oh No… Goblins! Slay hordes of goblins, orcs and fiendish creatures to get the King’s gold back in this action survivor game set in a medieval fantasy wold full of Goblins! Have fun and share your review about Oh No… Goblins! Demolition Inc – A new puzzle game by Shimiegames! Deadman Rush – Zombies have a heart! NG – A new fast-paced platform game! Let us introduce you NG, a fun platforming game in which you play as a ninja seeking for the Great Tresure. Collect all the gold in 40 retro-style levels and defeat the terrible Boss and became an hero! Enjoy it here! B/W Rush – Our latest game! We are glad to introduce you Driving4Game, a brand new site all about Driving Games! If you like Racing, Parking, Cars, Motorbikes, Bicycle, Trucks and all what’s related with Driving games you will find what you need at Driving4Game.com!!! Our Developer released a new cool game: Gravibot! It’s a 360 degree platform game with retro-taste graphics: a spaceship has lost some pieces during its journey in the deep space, you will have to command Gravibot, a rover dispatched to find all the lost gears! Check it out here and enjoy! Mystery Words, new wordsearch game! Are you a fan of Cooking Games? So we have a great news for you!!! We want to introduce our brand new partner website: Cooking4Game.com It is a very nice Arcade with cool graphics and full of hungry-makers games! Get ready to cook, serve, decorate, and have fun!!! Wild Wild Cow on Google Play! 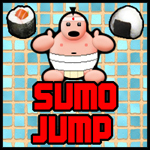 New game by Shimiegames: Sumo Jump! New Papa’s Game: Papa’s Hot Doggeria! 30 days… at high speed! A new 30 days period has started! This month we want to go very fast: we have selected a bunch of cool games about velocity. Drive different kind of vehicles with different characters! Check them out here and have fun!!! Brightrock Legend – New Game! We are proud to introduce you our new game: Brightrock Legend! It’s an adventure/puzzle game where you will fight fiendish creatures, orcs, undeads using your skills and ability in three different puzzle/combat styles. Check it out Have fun! 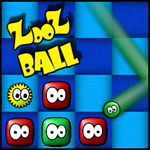 A new game is available in HTML5 section! It’s a nice multiplayer version of the well-known Bomberman!!! Play against real online opponents or connect with your Facebook account and challenge yor friends! Check it out! As the new week has began we’ve added some great new games to entertain you, and among them you will find a great surprise… PAPAPAPARAPAPAPAAAAAAAAAA… The third part to the hugely popular Monkey GO Happy Marathon series: Monkey GO Happy Marathon 3! Have Fun! We are proud to introduce you this HTML5 graphic adventure, to know the story that gave birth to the fantastic world of The Old Tree that Sleeps – the world of Myosotis. We are sure you will love the awesome illustrations and will have a fantastic time in playing this great adventure. New Homepage Section!Today we want to introduce you a new section of Shimiegames Homepage: a selection of 9 games, connected by a specific theme, that will change every 30 days. We are going to start with 30 DAYS… RUNNING A RESTAURANT Check it out! Fresh new air this week! Together with the weekly newly added flash games you will find 2 new HTML5 Games: + Memory Bug: a new spin on classical memory match games + Skulls in Space: a fly and shoot game Have fun! New Game: Wild Wild Cow!